Cannon Beach Sunset (Series 4), originally uploaded by The Bacher Family. 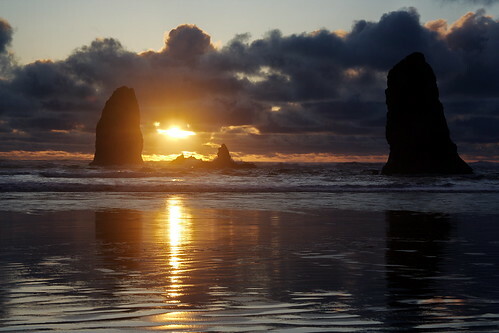 Anoter from my series of a stunning sunset on Cannon Beach at the end of March. This photo captures the sunset at its most transcendent, as the sun was about to sink into the clouds on the horizon and the rocks in the foreground were starkly silhouetted, even as the clouds were rimmed with light.